Ophthalmological Consultations. 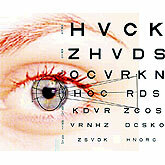 If an applicant fails to identify the target in any presentation at a distance of less than 23 inches from the fixation point, an eye specialist's evaluation must be requested. This is a requirement for all classes of certification. The AME should provide FAA Form 8500-14, Ophthalmological Evaluation for Glaucoma, for use by the ophthalmologist if glaucoma is suspected. Glaucoma. The FAA may grant an Authorization under the special issuance section of part 67 (14 CFR 67.401) on an individual basis. The AME can facilitate FAA review by obtaining a report of Ophthalmological Evaluation for Glaucoma FAA Form 8500-14) from a treating or evaluating ophthalmologist. Other Pathological Conditions. See Items 31-34.